Floating Bridge 5 has been docked in Gosport for the last couple of years and previously up for sale for offers of £125,000. The council respond to the rumour that they’re buying it back. 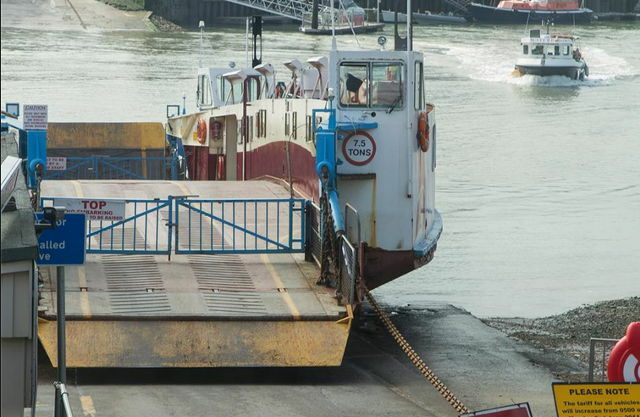 THE Isle of Wight Council has no plans to buy back the old Cowes Floating Bridge. Responding to rumours the authority was looking to buy back the old bridge and refit it in the Medina, a council spokesperson said today (Friday) it was ‘absolutely not true’. The former floating bridge is up for sale with Apollo Duck, and is currently moored in Gosport. A spokesperson for Apollo Duck said there had been ‘significant’ interest from abroad, and the boat could soon be sent overseas. The price is to be discussed on application. A report published by the Solent Local Enterprise Partnership (LEP) revealed the problems plaguing the new, £3.2 million vessel has cost more than £6.4 million so far. Within that, £539,000 has been spent on a replacement launch service. At the start of last month, an online petition called on the Isle of Wight Council to scrap the troubled floating bridge and build another. The petition gathered over a thousand signatures. 4 Comments on "Isle of Wight council respond to rumour they’re buying back old Floating Bridge"
FB6 is a mess and would cost a fortune to put back into service. Do we really want to waste more money? Slip of the finger, or did you really mean ‘6’? Sorry – slip of the finger, but I take your point.